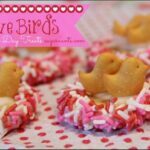 The “lovely” 31 Days of Love -series continues, lots of crafts, bakes and activities to do with kids this Valentine’s Day. 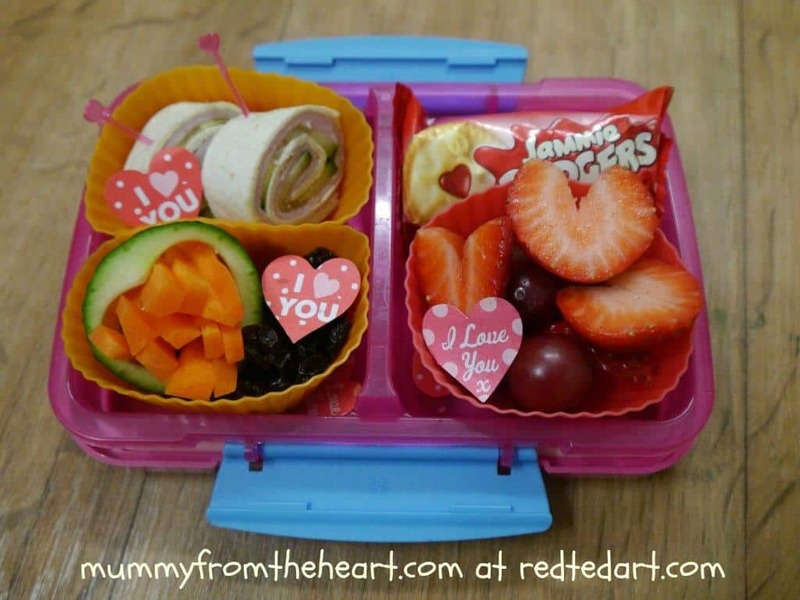 Michelle from Mummy from the Heart is sharing a great Valentine’s Day Idea with us today: a Heart Bento Box. Brilliant! 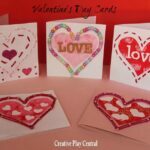 If you are looking for some Valentines Treat and Valetine’s Cards do check them out too! 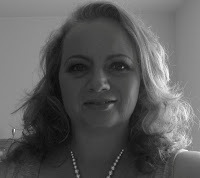 Hi, I’m Mummy from the Heart or Mich to my friends and I’m thrilled to be here on Red Ted Art. When Maggy said she was looking for guest contributors for her 31 days of Love I knew I wanted to take part but I’ll be honest, I was a tad nervous. 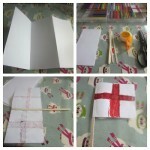 I’m not one of those super mum crafty bloggers and I was not sure what I could bring to the table. 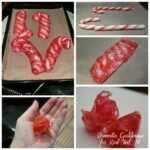 I then remembered there are tons of regular mums like me who feel they are not imaginative, crafty or clever enough and I’m here to show us that we can join in too. 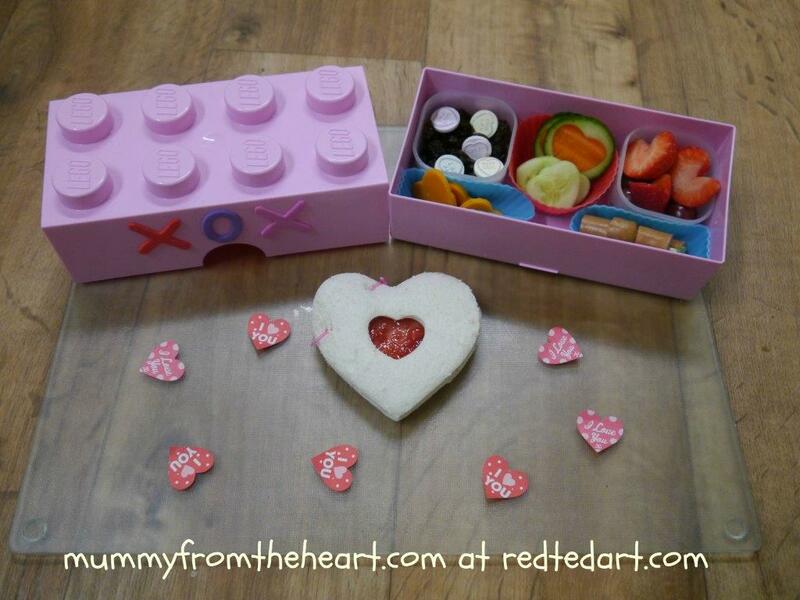 My valentine’s bento boxes are so easy and inexpensive that even the clumsiest of parents can have a go. I’ve always been one of those mums who felt their children should eat their lunch because it was lunchtime. I don’t tend to pander to my children and give them just the things they fancy as I believe they need to develop a taste for a full variety of foods. However I have recently discovered the bento box craze and I think it is fabulous. 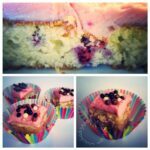 I love the idea that once a week or every so often I can give the kids a little surprise in their lunchbox. I have been blown away by how well my six year old twin girls and even my ten year old boy have taken to it. Smiley face sandwiches and pink pasta seem to be a big hit and all you need is an upturned bowl as a cutter and some food dye. Initially my concerns were that making a bento box inspired lunch would firstly cost a fortune and secondly take me loads of time. 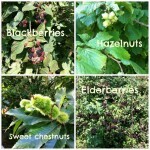 I was wrong on both counts, you just need some imagination and a willingness to use what you already have in the house. 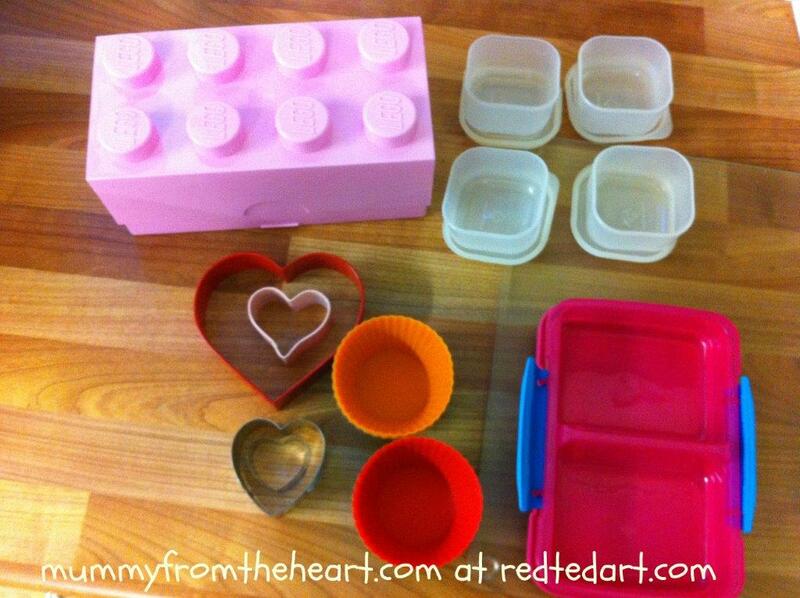 I have a variety of lunchboxes gained from a number of years and when I combine these with some tiny tubs (which I picked up in the sale at Sainsburys for 10p for 8 boxes last year), silicon cake cases and biscuit cutters I have a full bento kit. The only thing I did invest in was some tiny bento picks, bought on ebay for £2.49 for 100 reusable plastic sticks. The idea of the bento box is to compartmentalise and have lots of variety in one lunch, so divided boxes work well or using the silicon cases/ small boxes to split up a larger box, you just need to make sure you have a tight fitting lid so that the food stays in the right place. I made two valentines boxes so my twins could have one each. They both have slightly different tastes and that allowed me to experiment with a few ideas, none of which took me any great amount of time. 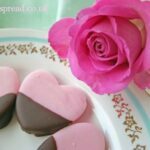 My tiny heart shaped cutter was invaluable and the girls really loved their heart shaped cheese and the carrot slices in the heart cut-out of the cucumber, nothing needs to be wasted. The shaped sandwiches are the simplest element to the lunch and are probably the thing that the kids enjoy most. 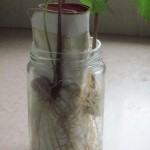 They particularly like it when I cut a little from the middle so they can get a glimpse of what is inside. I made JJ a smiley face sandwich the same day but I did not have the right size cutters, so an upturned dish and a teaspoon measure did the job fabulously. 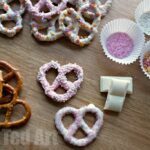 It was easy to take it a step further and add a few foam stickers to one of the lunch boxes and to sprinkle in some love heart paper confetti that we had in our craft box, this meant that the valentines theme really became evident. Of course a little handwritten love note would work well in the box too. Wouldn’t it be good to encourage your child with some affirming words whilst they are at school? 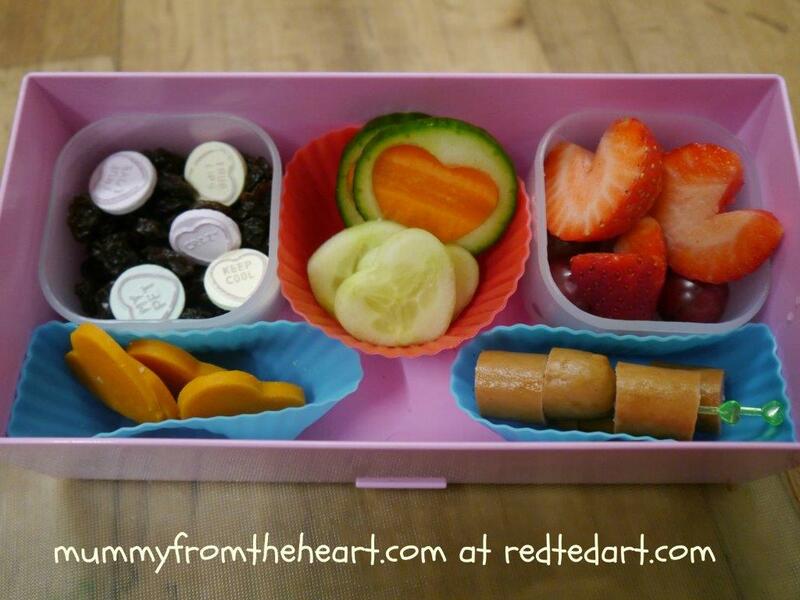 You can see from the other box that the cut-out cucumber works really well as a retaining ring for cut-carrot sticks and the bento picks are super for keeping little slices of ham and cucumber wrap tightly curled. As well as this box she also had a yoghurt tube and a baby bell cheese and this meant she had a well-balanced meal with a little treat in the form of the mini jammie dodgers. As I mentioned before this was no more difficult than a regular lunch box, it just took me a little thought and was really worth it. If you have not made a bento lunch box before I’d encourage you to give it a go, I had real fun making mine and the children appreciated them a lot. Mummy from the Heart is the fourth baby of Michelle, a 40 year old (manic) mother living in East Sussex, UK. Having recently moved to the countryside and ‘retired’, Michelle can now be found eating too much cake and taking long walks. She lives life on the bright side and looks for the joy in every situation, even the excess pounds those cakes keep adding! 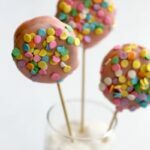 Michelle’s blog is a very honest place where she shares tales of imperfect parenting, being a Christian and anything else that takes her fancy. You can find Mich on Twitter, Facebook, Google Plus, Pinterest and Instagram.